3d decoupage is the art of layering paper to create a 3d effect. It is easy to start, inexpensive but very addictive! 3d decoupage is a relatively inexpensive hobby to start. You only need a few tools to start creating works of art. You do need to make a couple of decisions. First you will need to decide which method you are going to use to cut out your shapes. You can either cut using scissors or a craft knife. The benefits of using a craft knife are when you need to cut out areas inside the designs, areas that have the design all around it. Whether you use a knife or scissors is a personal choice. I would recommend that if you can use a knife that you do, however if you are using a craft knife then you will need a cutting mat to work on, don't want to ruin your table! You will also need replacement blades, nothing blunts a blade as fast as paper will. I would suggest getting a supply in, as there is nothing worse than being in the middle of a project and running out of blades. 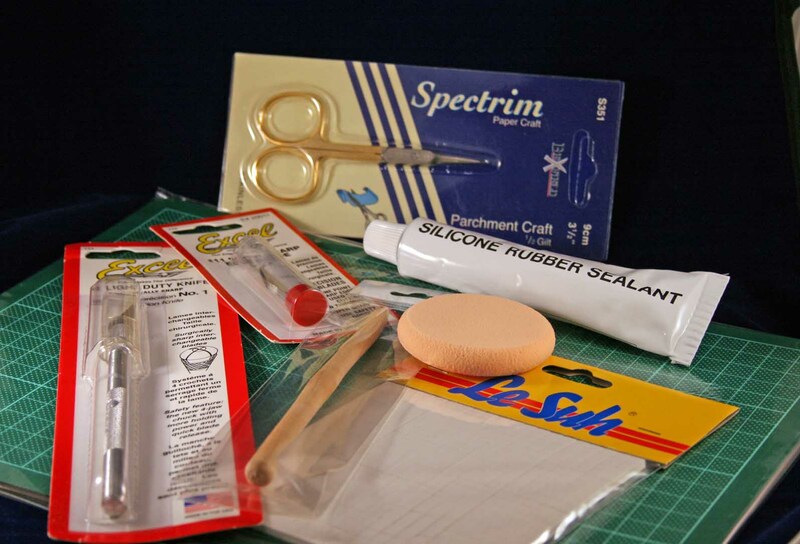 The second choice is whether you want to use silicone glue or double sided foam pads. If you are decoupaging with children or want to try this craft for the first time then the foam pads are a quick, easy and cheap method to use and you won't find any mess. The silicone though means you can apply smaller amounts than a foam pad and you can move your layers around before the glue dries. You will also need a pair of tweezers, this helps place the layers without blocking the view with fingers. They are also valuable when you are trying to place very tiny pieces. 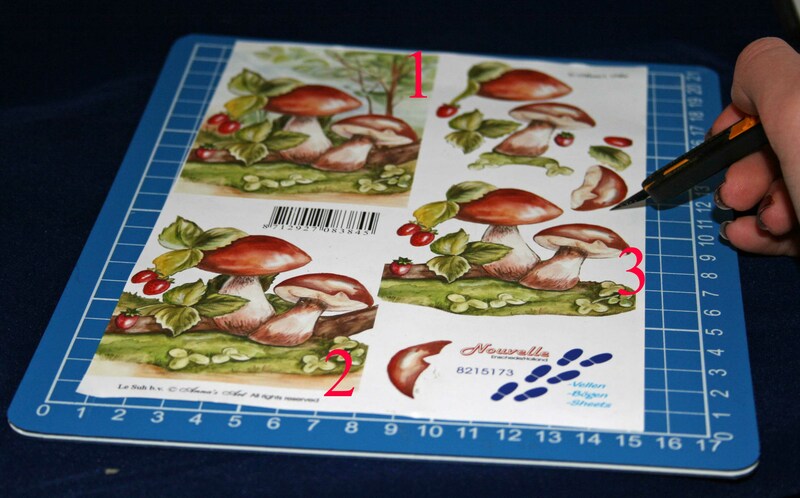 Apart from the decoupage sheets these are the basics that you will need. There are other tools to create different techniques but they aren't essential to begin with. They are a shaping tool and a soft surface to use the shaping tool with, I use a make up sponge. The idea of 3d decoupage is that you have a picture that looks 3d. This is done by layering the design from the background to the foreground. There are many different decoupage designs on the market. The easiest to use are step by step sheets. These are sheets with normally 2 or 3 designs and all the layers have been printed separately so you do not have to work out what is in the background. All you need to do with these sheets is cut out all the shapes. The alternative is to have 4 or 5 identical sheets and then work out which parts you need to cut out. This isn't too hard once you know what you are looking for and means that you can decoupage different designs from good quality wrapping paper to rubber stamped images. In the picture on the right I have a step by step sheet. I would suggest that you cut out all the pieces first and work out where they belong, you can then lightly number them on the back with a pencil. If you are using a craft knife you will need to cut at a slight angle so that the white of the paper does not show around the edges. This isn't too hard to do with a bit of practise. Hold the knife with a slight angle, as if you are writing. Cut with the design on the right as you can see where you are going and turn the paper not the knife to go around the design. If you do have some white showing from the paper under the design then this can be hidden with some pens or pencils run along the edge in a lighter colour than the design. Once you have all your parts cut out and numbered it is then time to put your picture together. In the picture I have numbered the first 3 layers to help identify them. Layer 1 is your base layer. This will always be a picture of the whole design. 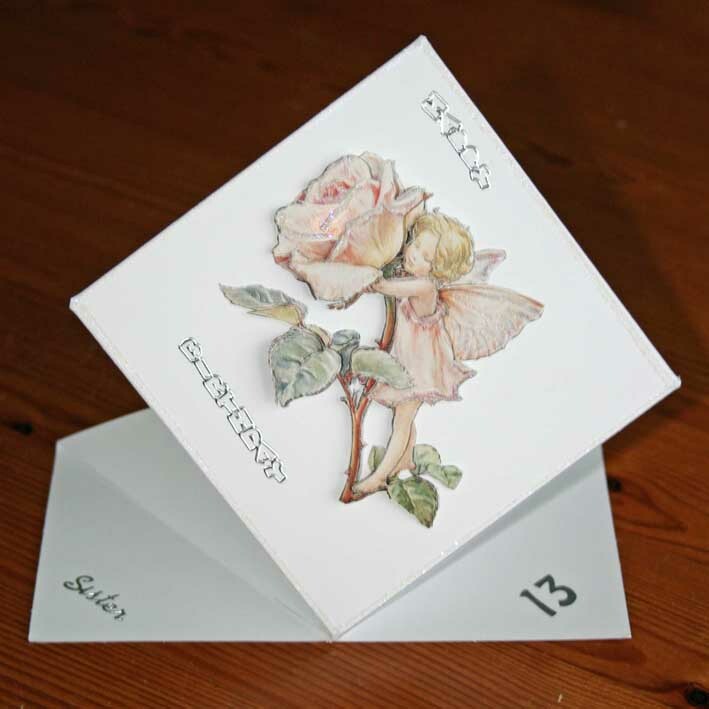 I normally decoupage cards so I stick the base print to the card using glue or you can use double sided sticky tape. The next layer is 2. This layer will have some parts missing, parts that appear behind the design on layer 2. Glue layer 2 into place with either the silicone or the foam pads. Hold your design up in front of your eyes after each layer to check that the layer is in the correct place. If you are using the silicone glue this is the point where you can move the layer around to position it correctly, then you will need to wait a couple of minutes for the glue to set. The silicone takes about 24 hours to dry hard but you can layer after a couple of minutes. Once you know what you are doing this is a good time to work 2 cards at the same time, then you are not tempted to put the next layer on too quickly! Layer 3 has more parts missing from the original design, parts that appear behind the design of layer 3. Keep adding the layers until you have used all the parts you cut out. The design is now finished. Once you have mastered the layering, you can use different techniques to make your designs look more lifelike. The first technique uses a shaping tool. You can buy special tools for this but a round pencil works just as well to begin with. The other tool you need is a soft surface to put your paper on. This stops any damage to the paper. I use a make up sponge but rolled up kitchen towel can be used. With your shaping tool you are going to roll the paper to create a roundness. Look at your design and imagine what it would look like in real life. The picture on the right is a mushroom. Mushrooms are round so I would place the mushroom head with the design face down on the sponge and roll the shaping tool across the mushroom, as if you were rolling pastry. Lift the rolled piece up with the tweezers and hold it over your design. The piece should fit exactly, if it doesn't then it has been over rolled so just repeat the rolling but with the design the other way up. When you are working animals and birds it is easy to make them appear furry or feathered. Make little criss cross cuts along the part you want to look furry. This removes small triangular shapes of the design. Here you will be left with the white of the paper. To hide this use pencils or pens to colour the design as mentioned above. If you are working large projects and using a craft knife then replace the blade for each new project. You will know when the blade needs replacing as it pulls on the paper and you will not get a sharp line. Always have an extra supply of blades, you never know when you will need them! Don't just use your silicone glue for 3d decoupage. If anything needs a lift then use it. I use mine to layer greetings from cards, lifting up punched out designs and anything else that I feel needs lifting! Use a cocktail stick to apply your silicone glue. You can then take smaller amounts and place them where you need them most. You can 3d decoupage anything as long as you have identical designs. Rubber stamps are great for this, good quality wrapping paper, and much more. By cutting out all your design before sticking it down means that if you go wrong and the piece is hidden when layered, then you can cut it out of the base print. If you are making cards then you don't have to decoupage everything. If something is too small then don't worry about it. Not everything has to be added to make a lovely card. Enjoy yourself. This is a craft that can be shared so why not invite friends round and have a decoupage party. It is a fantastic excuse for tea, chat and card making!